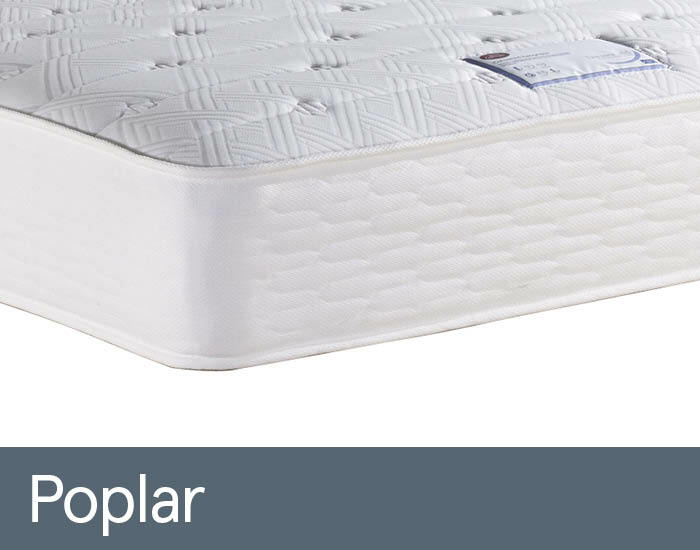 The Sweet Dreams Poplar mattress is traditionally upholstered, which provides a comfortable supportive layer on top of the open coil spring system. This mattress has a 12.5 Gauge Bonnell Open Coil Spring system where the springs are wired together to form a total frame work beneath the mattress fillings. Micro-quilted fillings is a more contemporary method of securing the mattress fillings, where the top comfort layers are quilted together providing a smoother sleeping surface. The flag-stitched handles are on both sides for ease of positioning.